The FDA has recently issued warnings pertaining to the drug Zerbaxa. They are not concerned about what the drug does, rather how much of it is being doled out by pharmacists. This issue stems from the fact that the manufacturer, Cubist Pharmaceuticals (now owned by Merck) decided to use some fairly confusing labels on the drug, resulting in pharmacies giving people the wrong dosage. Specifically, Zerbaxa is an antibacterial drug that uses a combination of ceftolozane and tazobactam. The drug was approved fairly recently and is used to treat complicated urinary tract infections and intra-abdominal infections along with metronidazole. While similar drugs typically label their medication’s strength as a combination of these two active ingredients. 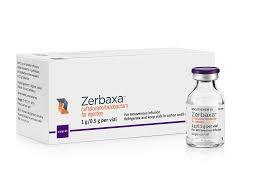 Zerbaxa just had to be different, including the strength of the two active ingredients independently. In around four of the seven reported instances, pharmacists gave patients around 50% more of the dosage than was actually prescribed. Granted, most of the time, the pharmacists — bless them — saw the issue before the medication was given to the patient. But there is at least one instance where they slipped through the cracks. The FDA finally stepped in, saying that the usual dosage of Zerbaxa is either 1.5 or 3 grams, which was intended to be the combination of both ingredients. But the dosage was actually measured by the amount of ceftolozane, which should be 1 gram. In the end, this produces a 50% overdose. Now the FDA is ordering changes to made to the labels and insisting that anyone experience problems with Zerbaxa report them to the FDA’s MedWatch program. Luckily, no reported health issues have developed in Zerbaxa users due to the labeling error just yet. But the reporting on these kinds of things is so awful I don’t think we have any idea how many errors there have been or whether anyone has been hurt by this. I guess the punch line is that we should always expect lawsuits. But the reality is that this is the more typical situation. The drug company royally screws up and there are no ramifications. I don’t think this is going to lead to any claims because I don’t think you will have many, if any, serious injuries. If there is a injury or death, you can expect Merck to settle the case quickly. This is what I think people do not fully appreciate: just how often these companies make mistakes. Most of the time they are like drunks throwing punches in the air that never land in a bar. No one really gets hurt. Then why does it matter? It one sense, it clearly does not, right? But when you are making mistakes left and right with pharmaceutical drugs, eventually very bad things are going to happen. The other take home lesson is that how easy it is for communication between the pharmacist and the drug companies to misfire.